The long saga regarding Udinese’s Alexis Sanchez transfer to Barcelona is finally seeing a bright light after the latest confirmation from the Bianconeri’s representative, Gino Pozzo, who revealed that an agreement has finally been reached between his club and the Catalan. Rumors emerging in Italy suggested that the final deal includes a cash around 27 million Euro with an additional 10 milion to be payed the season after along with several friendly games arranged with the benefit goes to the Italian side, other performance bonuses could also be installed. This payment method is a common thing being made by clubs this days as the economic condition simply isn’t allowing a huge sum of money being paid straight away, however, speculation that has been roaming in the media suggested that the reason Barcelona used the method is to spare some cash for Cesc Fabregas. Obviously, the numbers being mentioned is still nothing more than a speculation at the moment as both clubs haven’t made any official confirmation regarding the amount of cash being involved on the deal. With Gino Pozzo’s announcement, the saga is expected to finally end as although it already took several turns, in the last few days both Udinese and Barcelona have confirmed that the deal is already in place and no other clubs are involved. 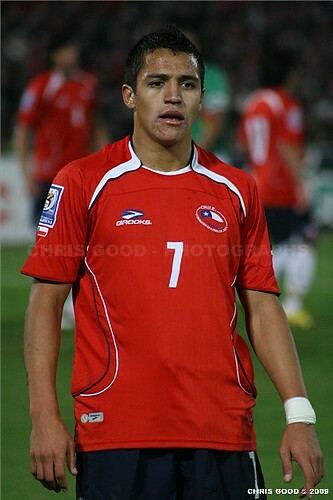 Rumors eves stated that personal agreement between the Spanish giant with Sanchez has already been concluded as the Chilean international is not interested in playing for any other club aside from the Catalan for the upcoming season. Considering Chile have already ended their journey in Copa America, the official announcement for Sanchez’s transfer looks to be made in the next few days as there are no hurdle that could once again slowed down the process. The 22-years-old arrival has brought an excitement at Nou Camp as important players such as Lionel Messi, Xavi Hernandez and also coach, Josep Guardiola, have all praised the attacker and pretty much welcomed him to the club.